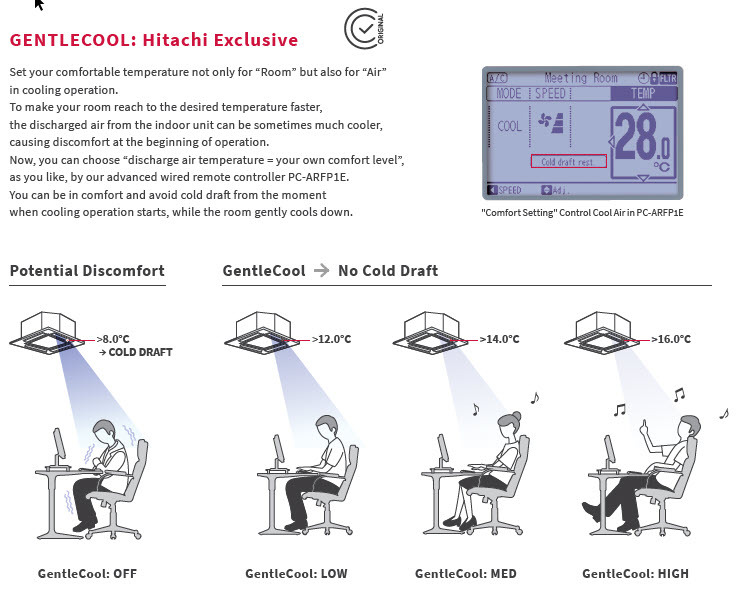 Set your comfortable temperature not only for “Room” but also for “Air” in cooling operation. To make your room reach to the desired temperature faster, the discharged air from the indoor unit can be sometimes much cooler, causing discomfort at the beginning of operation. Now, you can choose “discharge air temperature = your own comfort level”, as you like, by our advanced wired remote controller PC-ARFP1E. You can be in comfort and avoid cold draft from the moment when cooling operation starts, while the room gently cools down.